Before Migos drop their Culture II album soon, Quavo just released a video to his 2017 track "She For Keeps" that appeared on the compilation Control The Streets, Vol. 1. 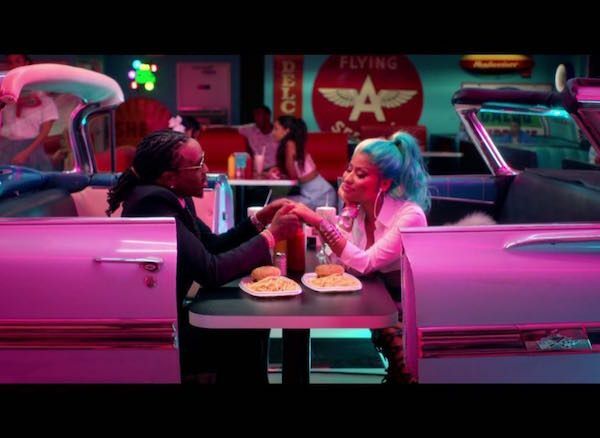 He and Nicki Minaj dip back into the 50's and have a date at a diner before Nicki Minaj strips down into her lingerie and ever-rotating wiggery. It's an Apple music exclusive, so you can view the vid in full on iTunes HERE. In other music news, Kendrick Lamar is joining the Black Panther squad! The blackest (and most bomb) movie that will hit theaters in 2018 needs a bomb matching soundtrack, so it's only right K.Dot handles that. 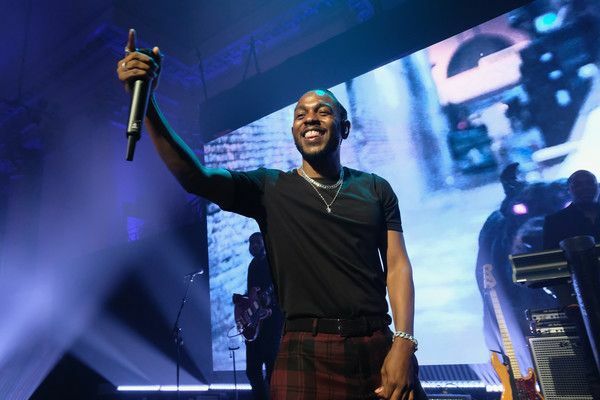 Alongside Anthony “Top Dawg” Tiffith, the Compton king will write, produce, perform and curate the whole soundtrack for the major motion picture, a first time feat for Kendrick. The "Love" rapper was handpicked by director Ryan Coogler. The movie’s lead single, “All The Stars,” will feature Kendrick and SZA. We're already here for it. "Marvel Studios’ Black Panther is amazing, from its cast to its director. The magnitude of this film showcases a great marriage of art and culture," Kendrick said in a statement. "I'm truly honored to contribute my knowledge of producing sound and writing music alongside Ryan and Marvel's vision." Black Panther rolls into theaters February 16th. The arrival date of the soundtrack is yet to be announced. In other Kendrick news, he's set to be the halftime performer for the upcoming National College Football championship game in Atlanta on January 6th. The 2018 blessings just keep on coming. Get ready!